Ledbury, a Richmond, Virginia-based shirt-maker and social commerce company, received a major investment from Disruptor Capital. The amount of the transaction was not disclosed. 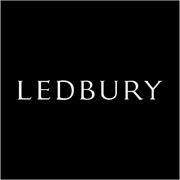 In conjunction with it, Disruptor Capital’s CEO Pete Snyder will be joining the Ledbury Board of Directors. The company intends to use the capital to continue to grow operations. Led by Paul Trible, CEO, and Paul Watson, Ledbury is a shirt-maker and menswear brand known for producing dress and casual shirts made from Italian-woven fabric and finished with a tailored cut, updated spreads and mother-of-pearl buttons. Headquartered in a renovated tobacco warehouse in historic downtown Richmond, Virginia, the brand also offers blazers, sweaters, ties and accessories.